There has been a paradigm shift in the medical device industry over the past twenty years and today’s quality procedures are much more stringent than ever before. 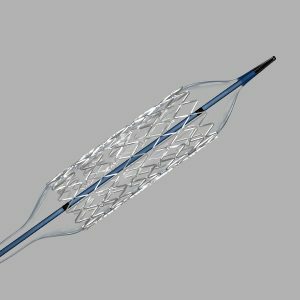 Invasive medical devices such as stents and catheters must meet the highest quality and safety standards due to the risk to human lives. Visual inspection of medical devices and components continues to play a key role in quality control. Over the last decade high definition imaging technology has enabled digital microscopes to become an essential tool in quality control, inspection and production for the medical device industry. 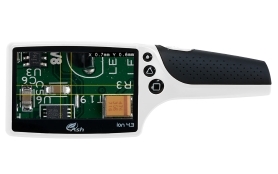 The quality of the image combined with ergonomic advantages such as reduction of neck, back and eye strain has seen digital microscopes replace many optical systems. There are a number of common defects which occur during the manufacture of stents, such as cracks, pits, score marks and scratches. It is essential that these defective stents are repaired or rejected from production. The recommended minimum camera specifications are Full HD 1080p at 60 frames per second. This offers enough resolution to be able to see defects and the high frame rate reduces any lag effect which can disorientate the operator. Lighting is also critical in achieving a sharp image. Diffused LED lighting reduces reflection on the stent surface. This greatly improves the image clarity. A digital microscope with a large magnification range and large field of view makes it easier to switch from an overview of the stent to a close-up view of a particular area. (Fig.1 & 2) This in turn saves time as the operator can quickly identify a problem area and focus in on it. 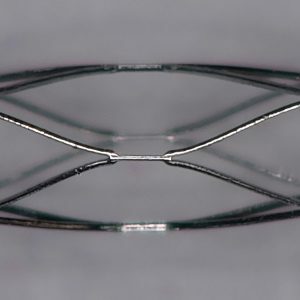 One of the challenges when visually inspecting a stent is its cylindrical shape. A convenient way to manoeuvre the stent is by using a rolling stage. 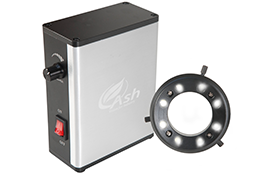 This allows the operator to easily rotate the stent and inspect all areas for defects. 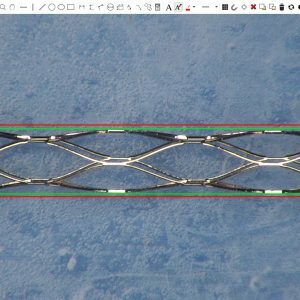 Measurement software can be used to carry out point to point measurements and annotation of stent struts. This allows the operator to not only make a measurement but also add text if something needs to be labelled or annotated. 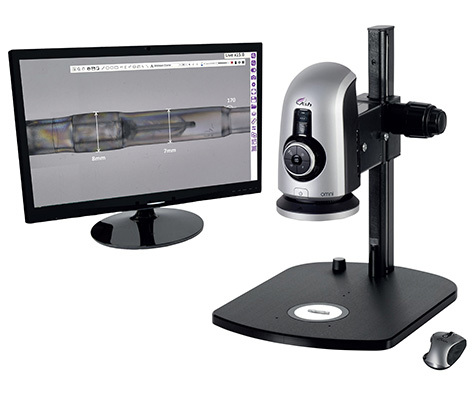 Most digital microscopes have a capture to USB or PC option. This allows the operator to easily save an image for record keeping or sharing. The manufacture of balloon catheters is a complicated process that can occasionally result in defective products. Common defects which occur during the manufacturing of balloon catheters include gel spots, “fish eyes” and foreign particles. Due to the safety critical nature of balloon catheters it is essential that all defects are eliminated before being shipped. Balloon defects can often be difficult to identify and categorise with traditional inspection tools. However digital microscopes provide an effective solution to inspect and measure balloon catheters. Polarized lighting is very useful for detecting surface defects in materials like balloons. The polarization interference patterns uncover common defects such as gel spots and ‘fish eyes’. This technique involves using a polarizing filter on both the lens and sub stage light. The lens polarizing filter is rotated to produce the interference patterns. The inspection of medical devices using a digital microscope ensures that the final product meets customer’s specifications, as well as strict quality standards. 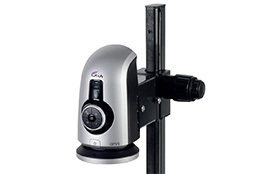 Many modern digital microscopes, such as the Omni digital microscope, have been designed to improve workplace efficiency through their ergonomic design. Ergonomically designed digital microscopes allow the user to sit or stand upright while viewing a full HD image which reduces neck, back and eye strain associated with optical microscopes. This allows users to work more efficiently and increases productivity. 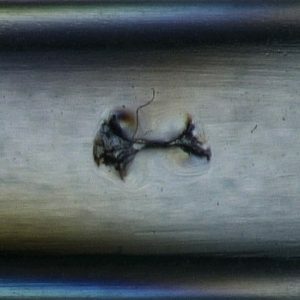 Digital microscopes can also improve the reliability of medical device inspection through the advanced features which they offer compared to optical microscopes. High resolution imaging ensures operators can see even the smallest defects and the high frame rate reduces any lag effect which can disorientate the operator. Many digital microscopes today have in-built encoded calibration tracking, meaning measurements automatically adjust while zooming, eliminating the risk of human error. 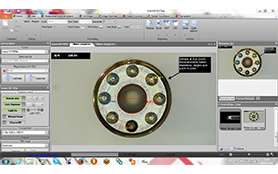 The large magnification range and large field of view offered by many digital microscopes makes it easier to switch from an overview of a medical device to a close-up view of an area. This in turn saves time as the operator can quickly identify a problem area and focus in on it. All data captured using a digital microscope can be saved to internal or external memory and can be recalled as required.